Clarks can be a hit or miss for me on fit. These not only fit well they look great too. 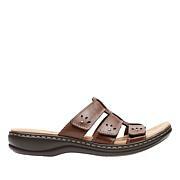 Hard to find decent looking flat sandals in size 10 wide sometimes. Happy to see HSN carry Clarks now. I am a huge Clarks fan. I have many pairs but these are the most comfortable ones yet. I love how flattering they are on your foot and all your toes stay in the sandel with no peeping out. I would not pass this one up! 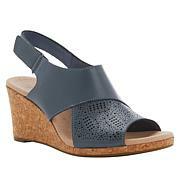 Showcase your warm-weather look with the Trudy wedge sandal from Baretraps. 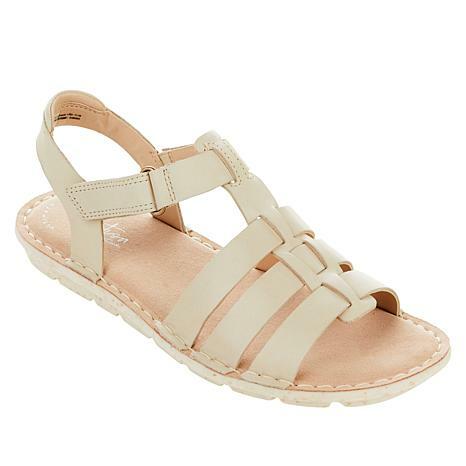 With fisherman-inspired styling and perforated accents, this sandal will keep you looking oh-so chic.